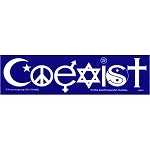 This blue and white Bumper Sticker features the classic Coexist design with a Hindu/Unitarian twist. 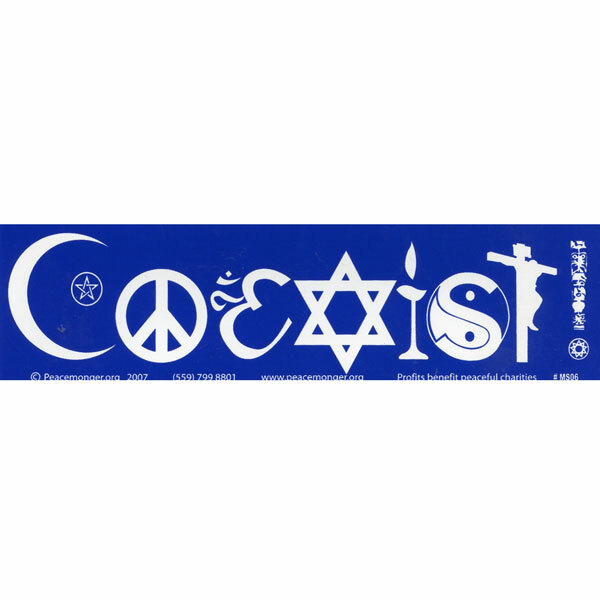 Q: Item # MS006 The quantity pricing may be off: 25 - 100 = $0.55 200+ = $0.50. How much are they each if I want to purchase 110? Thanks!